While the likes of the Samsung Galaxy S10 5G and the Moto Z3 (with the help of its 5G Moto Mod) are delivering 5G this year, most rumors suggest we won’t see a 5G iPhone until 2020, but now we’re hearing it might not even be ready until 2021. That claim comes from a source “with knowledge of the situation” speaking to Fast Company. The source says that Intel has been missing deadlines for the development of its XMM 8160 5G modem, supposedly destined for the 2020 iPhone. Missing those deadlines could mean Intel won’t be in a position to deliver the modem in the quantity Apple needs in time for the September 2020 launch of the iPhone 12, or whatever it ends up being called. Indeed, as a result of the delays Apple has supposedly lost confidence in Intel to deliver the chip, which could mean Apple will be stuck with 4G until 2021 – two years after some companies will have launched 5G phones. So while Apple and the iPhone aren’t named, that certainly suggests Intel fully intends to meet its commitments. On top of which, we don’t even know for sure that Intel is supplying the 5G modem for the iPhone, let alone that it’s the only company that will be doing so. The original claim that Intel would be the company to supply the modem and that it would be ready by 2020 also came from a Fast Company report, back in November. Having Intel supply it made sense, as Intel is currently the sole supplier of 4G modems for the likes of the iPhone XS and iPhone XS Max. But Intel isn’t the only option, and indeed since then Apple has suggested that it was at least considering using chips from Samsung or MediaTek as well, as it doesn’t want to rely on a sole supplier. So even if Intel is struggling to hit its deadlines, Apple might be able to fall back on another supplier. Having said that, Fast Company’s latest report claims that neither of those companies will be in a position to supply a 5G modem in 2020 either, with both the site’s source and UBS analyst Timothy Arcuri saying as much. Huawei might be a possibility, and the company has even said it would be "open" to helping, but given that company's ongoing issues with the US government that's probably a long shot. 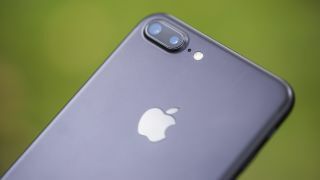 The only other real option then would be Qualcomm, which used to be a major supplier to Apple, but recently the pair have fallen out and have an ongoing legal dispute, so it seems very unlikely that they would work together. So where does that leave us? By the sounds of things the most likely option is still an Intel 5G modem, but whether that arrives in 2020 or 2021 depends on whether you believe Intel itself or unnamed sources. Either way, if you want a 5G phone any time soon you’re probably going to have to look elsewhere.